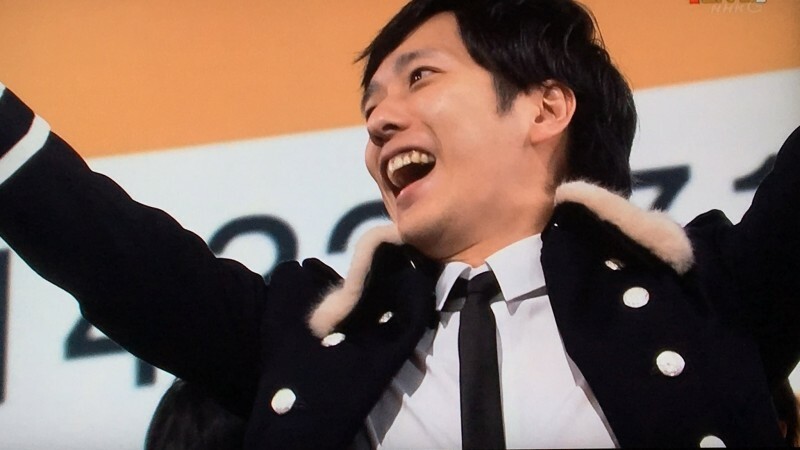 Ninomiya's reaction to White Team (shirogumi) winning the 2017 Kouhaku Uta Gassen! Bless him! This entry is three days late *sorry* I really wanted to write up something to post quickly but I just kept getting distracted with things happening in real life, and then all the wonderful New Year shows such as Aratsubo and the VS嵐 special, which I was successfully able to live-stream all the way through ~ yayyy! So, I have to say once more that I am so stonking proud of Nino's amazing job at co-hosting the 68th NHK Kōhaku Uta Gassen. His ability to emcee seems to be completely flawless, like he is just in tune with everyone around him at all times and he knows how to read the atmosphere from moment to moment. He's not overly-dramatic, he doesn't get flustered, but if he or anyone around him does, he covers it with a word of encouragement or a one-liner that instantly breaks the ice. He's just perfect at it, and yes. I love him so much. Secondly, I need to learn to chill a lot more when it comes to social media and friendships in general. 2017 was pretty crappy to be perfectly honest because I lost many of my online friendships. First through Facebook, which I deactivated, and sadly I lost all contact with my writing/genealogy friends. That actually took me totally by surprise because I wrongly assumed they would ask after me. None of them did. Then I lost some pretty significant friendship/relationship interactions with some Arashians. Those hurt me more than I could bear if I'm honest, and it ended nastily as well. Some of their comments to me were harsher than necessary and it almost broke me. At the same time I did pick up some new friendships in 2017, some of which have since either fizzled out or are just "there" quietly brewing in the background.